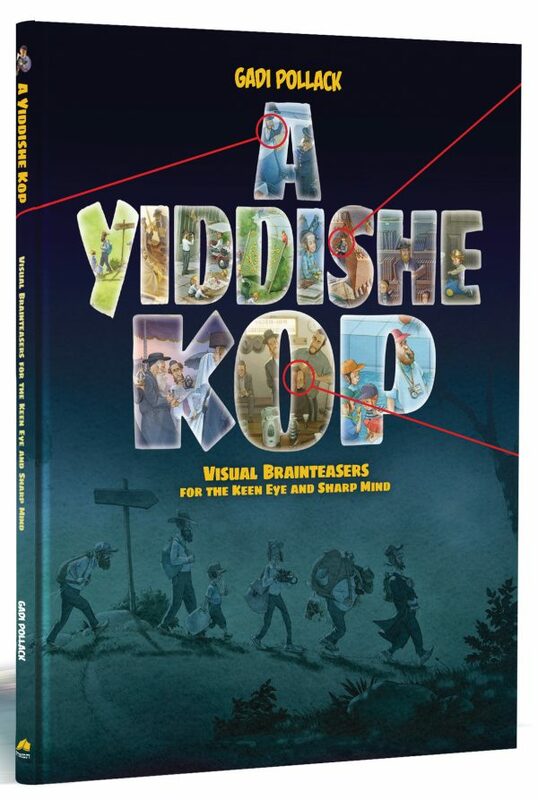 What do you say about boosting your child’s cognitive abilities (AKA his Yiddishe Kop…)? Great idea! We knew you’d agree. You can to do it right now! 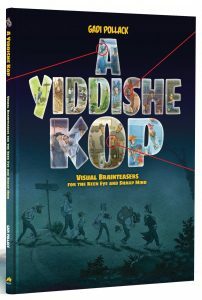 Gadi Pollack’s newest book of illustrations, A Yiddishe Kop, is nothing less than a thinking revolution. Your child will discover hours of enjoyment – thinking, discovering details, analyzing information, and drawing conclusions. It’s intellectual development at its best! 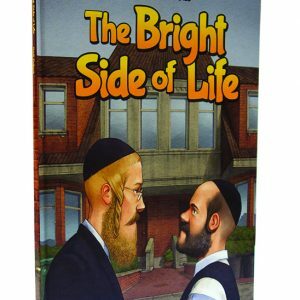 A Yiddishe Kop features fifteen full-spread illustrations of real-life scenarios common to Torah-observant communities, each accompanied by ten brainteasing questions. 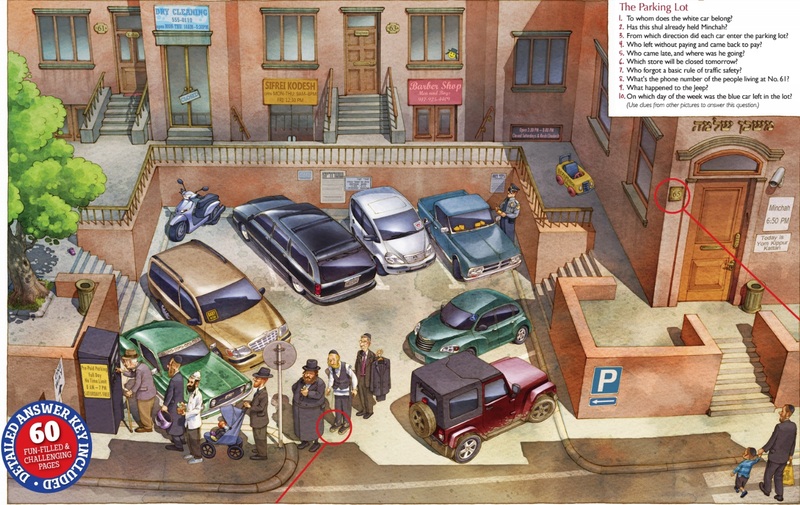 Finding the clues and answering these questions requires a keen eye, logical reasoning, and broad thinking. 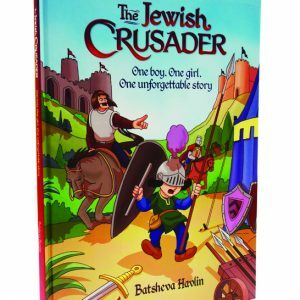 Your child will need to develop creative thinking, learn how to think “out of the box,” and to see the world from entirely new points of view. 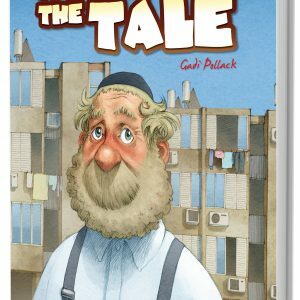 The benefits of this intellectual challenge come hand-in-hand with the inimitable artistic beauty of the Torah world’s most sought-after artist – Gadi Pollack.